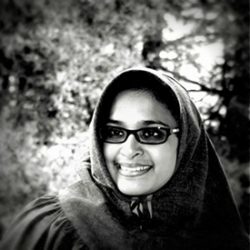 Insiya Divan lives in the Boston area and started her own firm, id Lighting Design, in 2013. She has a Bachelor’s degree in Architecture and a Master of Science degree in Lighting from RPI’s Lighting Research Center. She has over ten years of experience designing lighting for educational, civic, residential, commercial, healthcare and retail projects, and enjoys working on and experimenting with many aspects of lighting. Insiya has been using AGi32 since she started her lighting career. In her design practice she has used both mockups and AGi32 to observe, study and fine tune how light behaves in unique situations. The software’s daylighting module is probably one of her favorite features, and she is always looking for ways of applying it in her design practice. She believes that AGi32 is an invaluable tool for most lighting professionals and is happy to teach the software to interested lighting enthusiasts. Insiya is an associate member of IALD, a member of IES and a LEED accredited professional. A winner of Lighting Analysts’ 2013 Charles Loch Award, Insiya is also an AGi32 Authorized Instructor for Lighting Analysts. She can be contacted at idivan@idlightingdesign.com with inquiries (www.idlightingdesign.com).